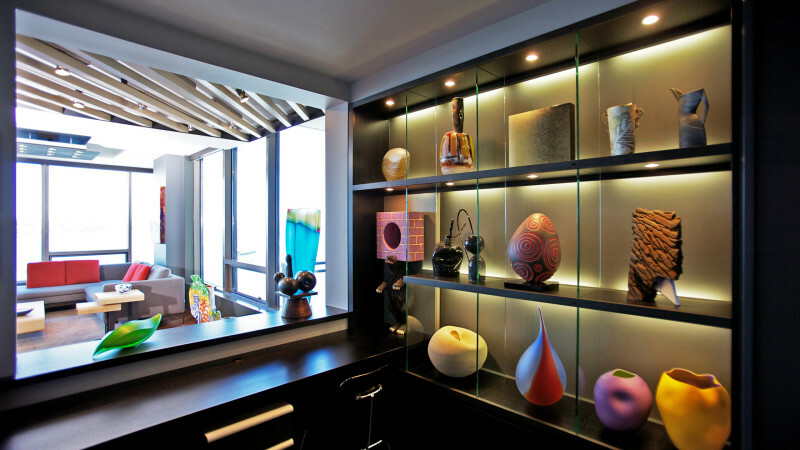 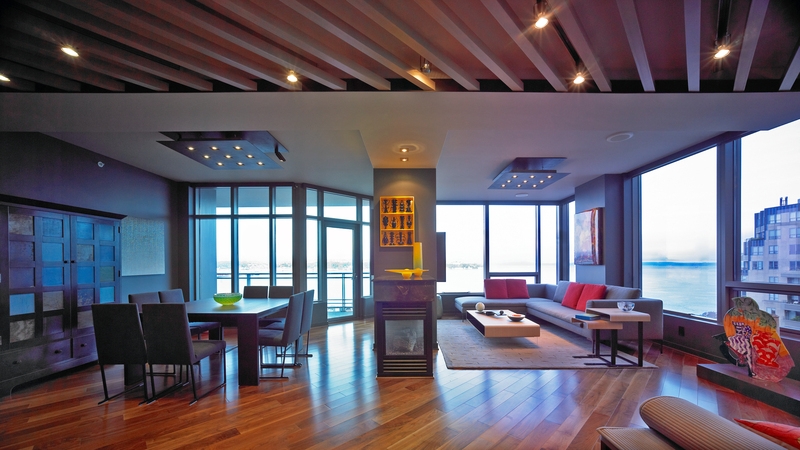 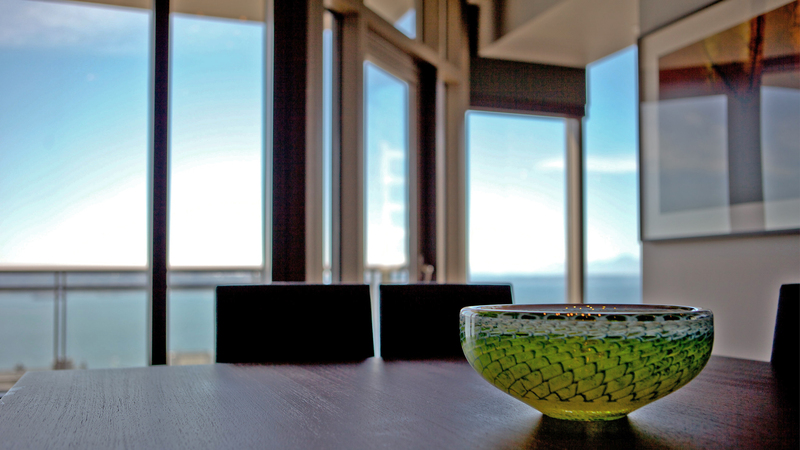 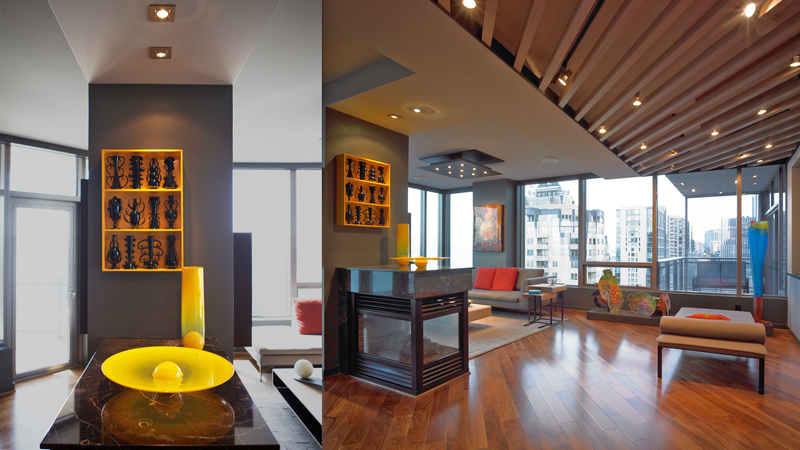 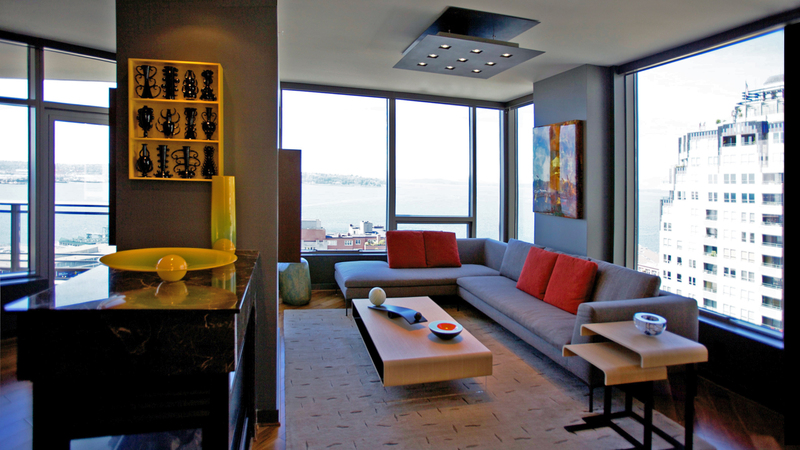 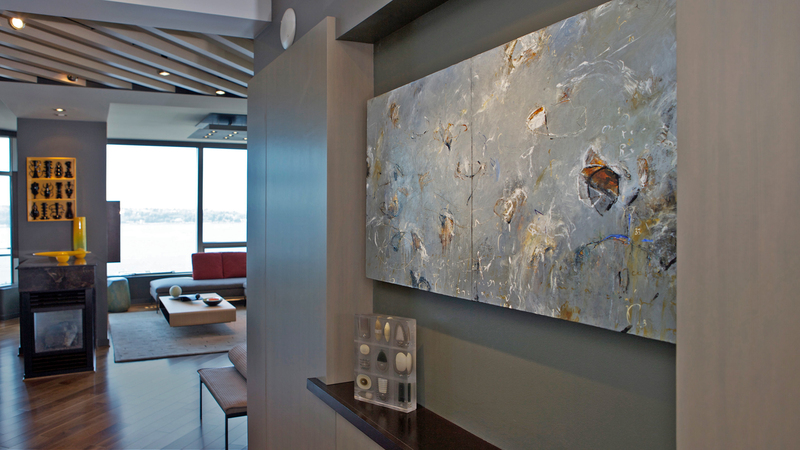 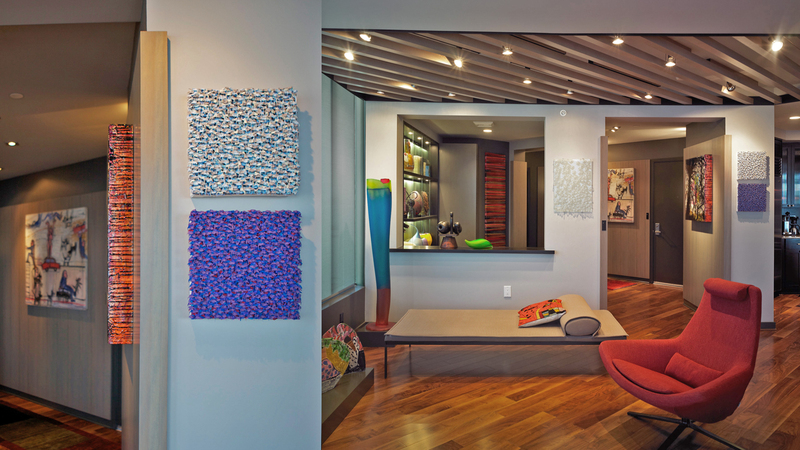 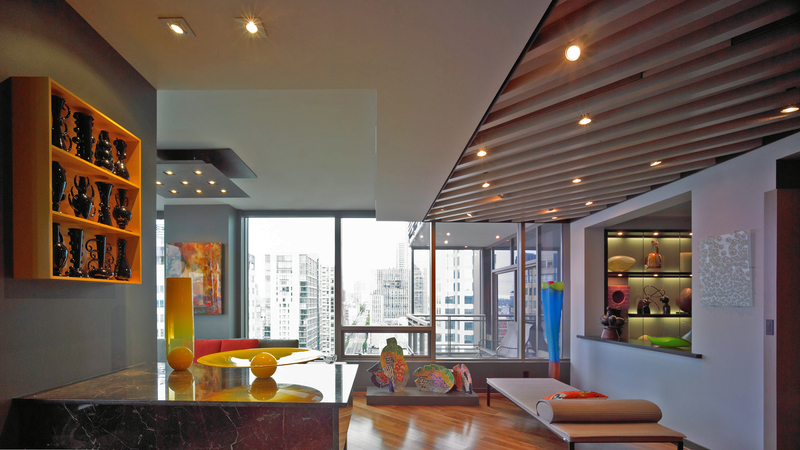 Our design extends the capacity of space and lights a prized glass art collection. 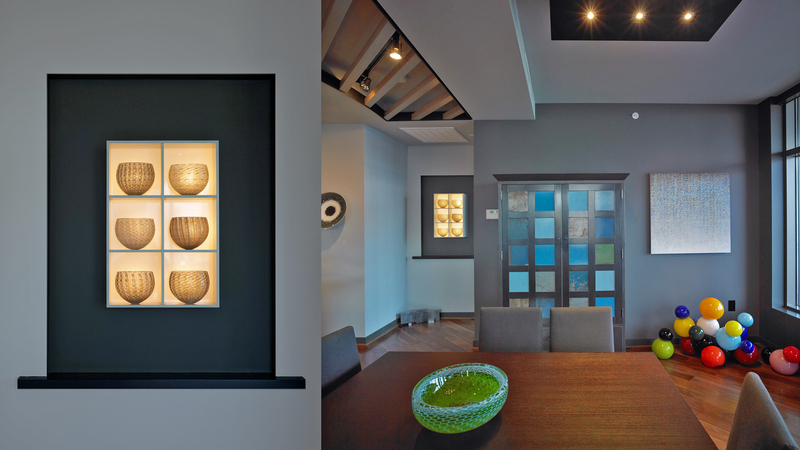 Our knowledge of color, space and form, coupled with combinations of direct, indirect and back lighting achieves an optimal balance. 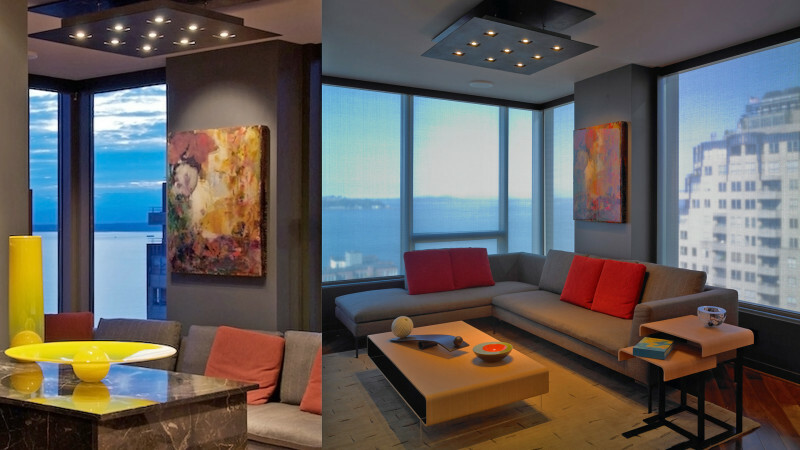 Each art object is placed and illuminated with reverence while capturing the panorama of Elliot Bay and Olympic Mountains.